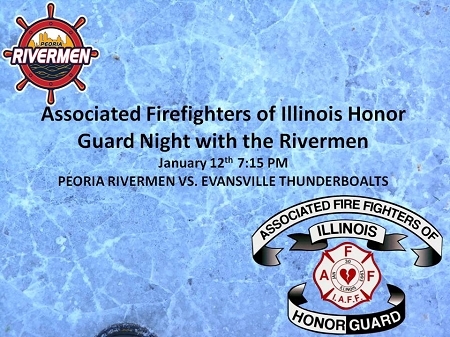 Associated Fire Fighters of Illinois Honor Guard, come out and enjoy a Rivermen game on Friday, January 12th, the puck drops at 7:15PM. It is Star Wars Night with the first 750 kids 12 and under receiving light swards and the team will be wearing special Star Wars Jerseys. *IN ORDER TO PURCHASE THIS DISCOUNTED TICKET SPECIAL, YOU MUST PURCHASE THROUGH THIS LINK OR CALL THE RIVERMEN OFFICE PRIOR TO 2:30PM JANUARY 12TH. TICKETS THROUGH THIS SPECIAL ARE NOT AVAILABLE FOR PURCHASE AT THE CIVIC CENTER BOX OFFICE. Deadline to purchase this special is ONE DAY PRIOR TO GAME DATE. Orders will be assigned in the best available seats on a first come, first serve basis. For more seating area requests, simply mention in the COMMENTS PORTION of your order. Order that require ADA seating please call 309-676-1040. 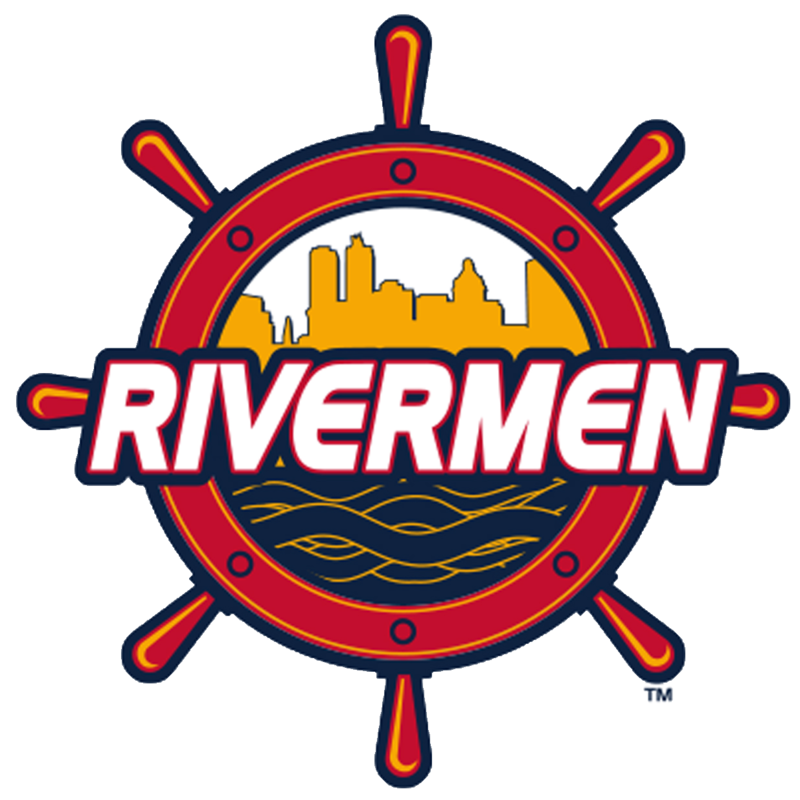 Peoria Rivermen Front Office is opened 9 am - 5pm Monday- Friday (10am- 5pm on Saturday/ 10 am- 1pm Sunday on Game Days).